Here, in Aotearoa, it is Uike Kātoanga’i ‘o e Lea Faka-Tonga- Tongan Language Week. It begins Sunday 2 September and finishes on Saturday 8 September 2018 but you can continue learning and celebrating Tongan Language all year round! Take your time and enjoy the sights and sounds using ‘ihe laipeli – your library! You could start by reading Tongan for Kids by Jahri Jah Jah. Bettina Ikenasio-Thorpe’s books will help with learning the alphabet, numbers and colours in Tongan. She has three awesome books: ‘Alafapeti : Tongan alphabet with English translation, Ngaahi lanu : colours in Tongan and English, and Lau ‘a e taha ki he hongofulu : counting one to ten in Tongan and English. These stories are written by Carolyn Collis with an English translation on the back cover. Aiani and the Pia Ghost is great for Tongan speakers. Give it a go! The International Children’s Digital Library is a great place to find books and stories from different cultures all around the world. Would you like to know more about the people of Tonga? David Riley’s Tongan Heroes is a good place to start and has great illustrations by Michael Mulipola. Retells a traditional Tongan fable about a mischievous mouse, who is rescued by an octopus, but tricks his saviour. This represents the origins of traditional fishing lure design. Kelea, who lives in Tonga, describes some of the special clothes she wears for different occasions, including the ta’ovala and kiekie. Contains some Tongan words and glossary. Did you know that Samoan is one of the most commonly spoken languages in New Zealand? In fact, we have over 12,000 Samoan language speakers in Wellington! Samoan Language Week starts on Sunday 29 May and runs through to Saturday 4 June. It was first celebrated in 2007, and the event aims to raise awareness of the Samoan language, celebrate Samoan culture in New Zealand and around the world, and promote the use of Samoan language in schools, at work and at home. This years’ theme is “E felelei manu ae ma’au i o latou ofaga – Birds migrate to environments where they survive and thrive”. If you want to find out more about Samoa, or learn Samoan, we have some great resources to help you get started! Head over to the online catalogue and start searching today (and don’t forget, if you need to reserve an item from another library, reserves are FREE on all children’s cards). Celebrate Tongan Language Week 30th August – 5th September 2015. This year’s theme is Fakakaloa Aotearoa ‘aki ‘a e faiva ‘a e Tonga – Enriching Aotearoa with Tongan arts. This celebration provides an opportunity to celebrate through music, song, dance, food, crafts and language. Did you know…? There are more Tongan people born in New Zealand than there are in Tonga, giving lea faka-Tonga (the Tonga language) and anga faka-Tonga (Tonga culture) a special place here. Have a go a Lea Faka-Tonga. The basic level of counting in Tongan is easier then you think. All you have to do is learn the numbers 0-10 then you can count from 1-99. Follow these simple rules. Example: How do you say the following numbers in Tongan? Test: Can you saying the following numbers in Tongan? Here are some fun online learning games for Tongan, and a simple guide to the language for beginners. The theme for Niue Language Week is ‘fakamau, fakamanatu mo e fakaaoga tumau e vagahau Niue‘ which means ‘maintain, retain and develop the Niue language’. 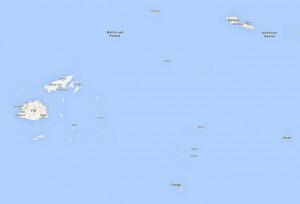 The Pacific Island of Niue is very small and has a population of 1’400 people. It’s known as The Rock of the pacific, and is located about 2’400kms northeast of New Zealand. Niueans are automatically New Zealand citizens and have the same queen as New Zealand – Queen Elizabeth II. 90-96 % of Niueans live in New Zealand (22,473 people in 2006) and is our 4th largest Pacific Island population group. This also means that 70% of those that can speak Niuean live in New Zealand. This week is Niuean Language week . Because the population is small and most of the Niueans live in New Zealand (where English is mostly spoken), it’s really important that the language is learnt and used by Niueans so that it survives. Here’s a useful language guide for everyday words. You can also visit the official Niuean language website too, and the Wikipedia page is good for language experts. Why not give some words and sentences a go? Captain Cook called the island Savage Island because he thought the islanders had blood smeared all over them. ‘Niue’ means ‘behold the coconut’. Niue has free wireless internet for everyone who lives there. The first country to do so. Every primary and secondary student has a lap top provided for them to do their school work on. There is only 1 TV channel, 1 newspaper and 1 radio station. Air New Zealand is the only airline that flies to Niue. February is the hottest month, and March is the wettest (most rain falls over summer). Temperatures as high as 38 degrees have been recorded in Niue! That’s hot! Niue is home to the Coconut Crab, that largest living crab in the word! It can grow up to 91cms wide. Scary! 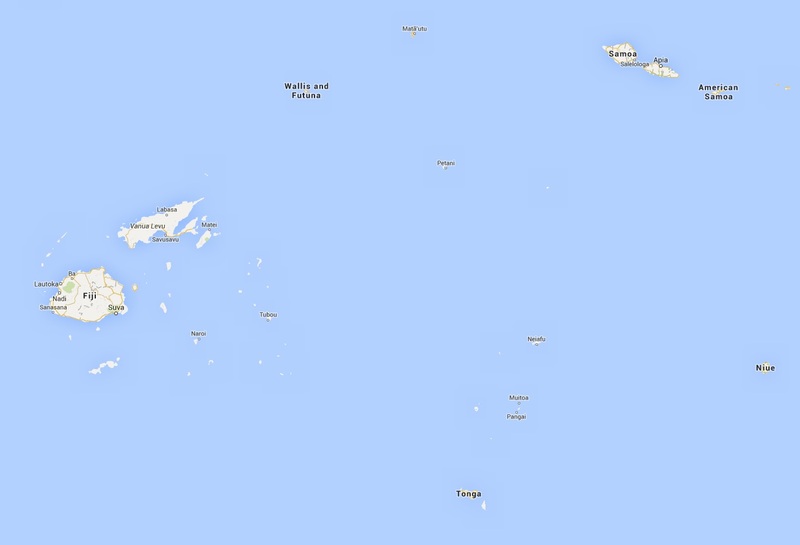 Niue is on the other side of the International Date Line, which means that is is 23 hours behind New Zealand. Which means that at the moment it is yesterday in Niue. Samoa is a very good country to be in becauase it is a hot place and it has a pool there to thats why I chose the Samoa book. I also chose it because I am Samoan. My hole family is from Samoa except My dad he is Maori. Tongans born in New Zealand account for 56% of the total world-wide Tongan population. this means there are more Tongans born in NZ then there are in Tonga. Just over 60% of Tongans speak the Tongan language, but only 40% of those born in New Zealand speak it.